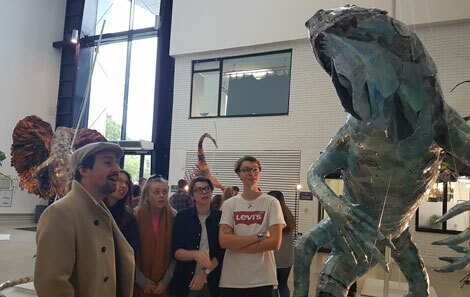 Students from the College had a huge surprise this afternoon when they received an unexpected visit from Broadway’s biggest star. 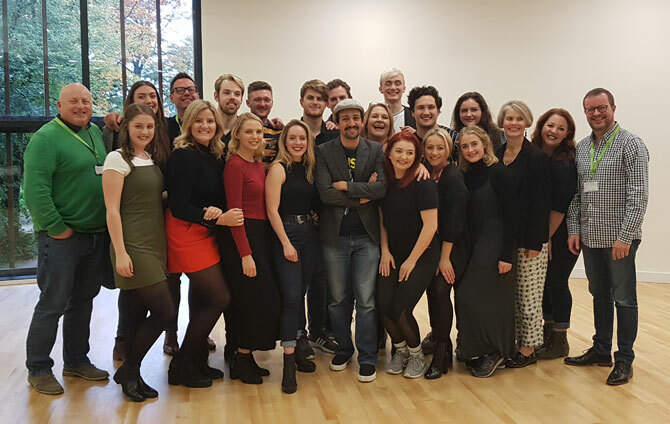 Lin-Manuel Miranda, the man who created, wrote and starred in the musical theatre phenomenon Hamilton, took some time out from filming His Dark Materials down the road in Cardiff to come and meet students from across the College. 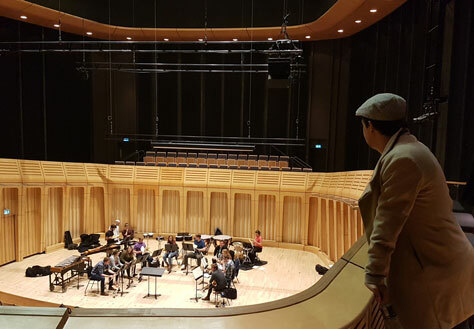 The multi-award winning American composer, lyricist, playwright, rapper and actor dropped into a musical theatre performance class, spent some time with actors during their rehearsal and chatted to designers & composers. “He is simply one of the most exciting people to walk through our doors! Lin-Manuel Miranda is the most significant figure in Musical Theatre for our times; he has indisputably redefined the form,” said Vivien Care, Head of Musical Theatre. 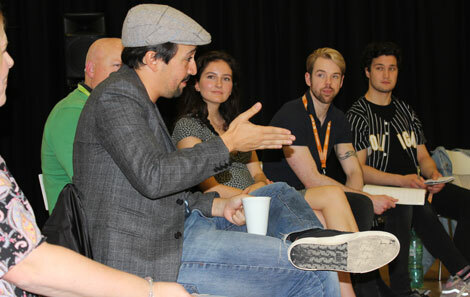 Lin-Manuel is in Cardiff working with the BBC and HBO on Philip Pullman’s acclaimed trilogy produced by Bad Wolf. Bad Wolf’s world-class production team gathered at Wolf Studios Wales in Cardiff includes over 22 Design for Performance students and alumni from the College. These include supervising art director James North, recent graduate Ros Mather, who is an art department assistant, and current student actor Ruby Hartley who is working as a voice artist, as well as costume and scenic designers. Lin-Manuel is also best-known for creating and starring in the Broadway musical In the Heights, and for co-writing the songs for Disney’s Moana. He will be setting the silver screen alight this Christmas when he co-stars alongside Emily Blunt’s Mary in Mary Poppins Returns. Among his plethora of awards he has garnered a Pulitzer Prize, three Grammy Awards, an Emmy and three Tony Awards. In 2016 was cited in Time magazine as one of the 100 ‘Most Influential People in the World,’ and later this year he will be awarded with a star on the legendary Hollywood Walk of Fame.